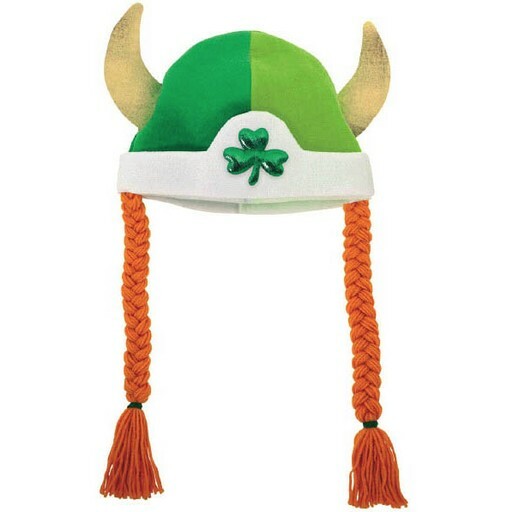 Celebrate St Patrick’s Day in festive style wth this novelty Viking hat! 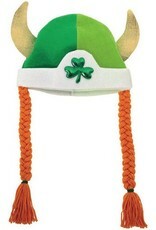 Sure to bring a smile and little giggle when you dress up! Measures approx. 21 x 12 inches. Laugh at the current state of the economy and gift a new couple or a favorite friend with this charming necessity - a pot to piss in! They will be forever thankful! 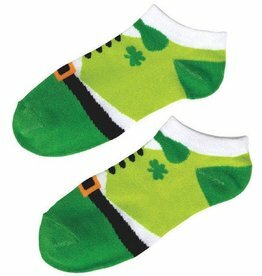 Fun and colorful St. Patrick's Day Toe Sock - I Love Shamrocks really put a spring in your step for St. Patrick's Day! 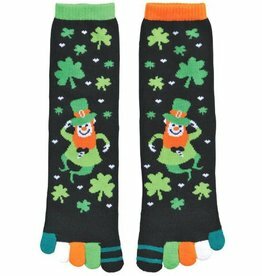 The long black socks feature a leaping leprechaun, green shamrocks and white hearts. Each toe has its own design for a cute touch. 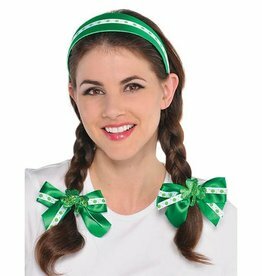 Set features a shamrock accented green headband with fun center strip, measuring 4 1/2in x 5in and two matching, glitter shamrock clasped bow clips, measuring 4 3/4in x4in. 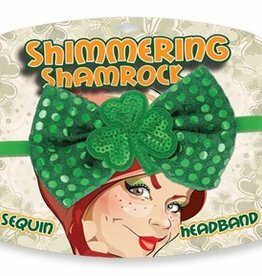 Jumbo Shimmering Shamrock Hair Bow Headband!